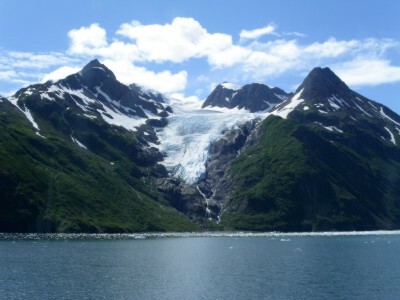 The excursion and banquet for DSN 2008 will be a special version of the 26 Glacier Cruise on Prince William Sound, including a visit to see Surprise Glacier. Our special version will include a very nice multi-course buffet dinner with drink tickets, and a reduced total time on the water to be back at the hotel by midnight. 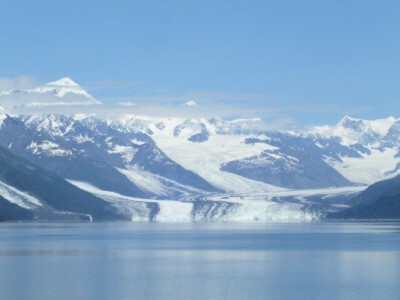 For more information on the cruise, please see http://www.26glaciers.com. All pictures on this page were taken by the General Chair on the same ship we are using (click on pictures for wallpaper-size versions). [From the 26 Glaciers Web Site]: "The 26 Glacier Cruise travels over 135 miles into Prince William Sound where you will see 26 named glaciers and many more unnamed. We get face to face with these towering masses of ice, so close you can hear the glaciers move and gaze at their brilliant blues hues. 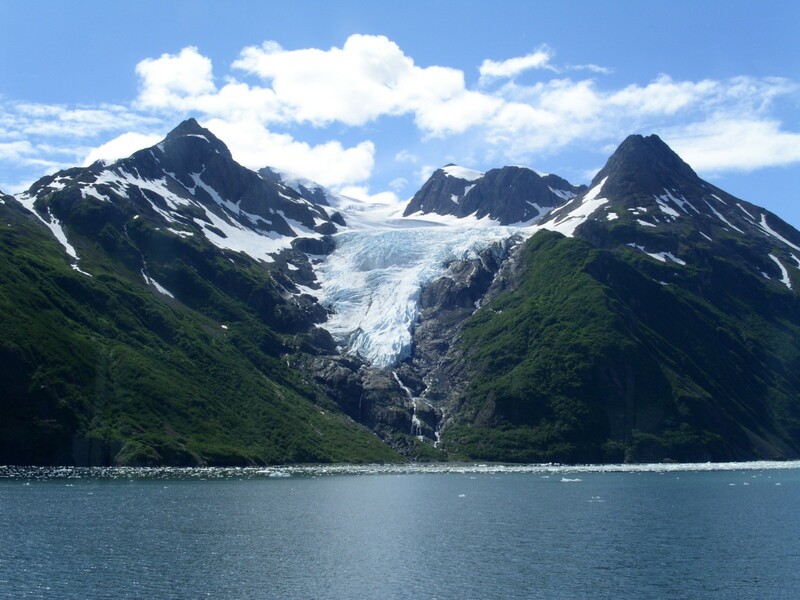 On the 26 Glacier Cruise, you'll see several types of glaciers, including Alpine (hanging), Piedmont and Tidewater. 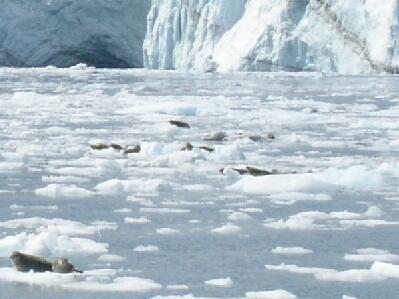 Glacier calvings (when broken pieces of ice fall into the water and become icebergs) are normally seen on each cruise." 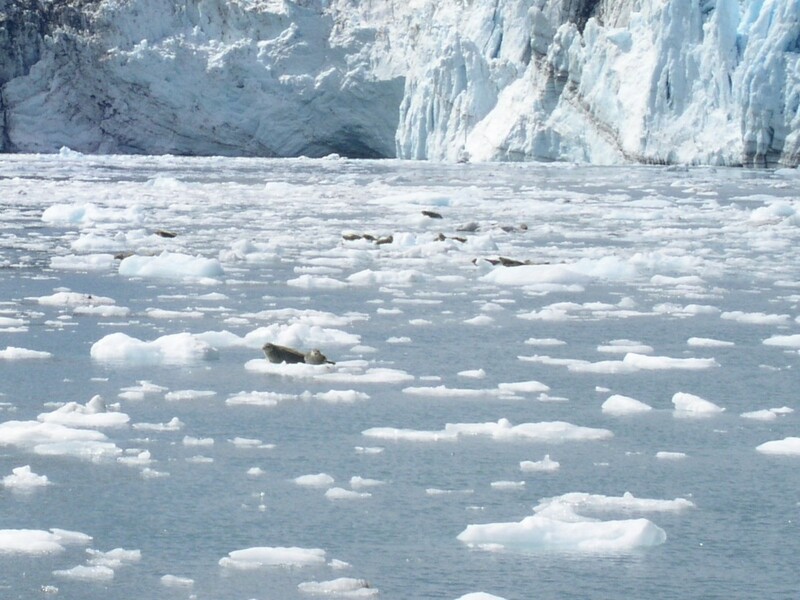 "Its not just about the ice  it's very common to see sea otters, seals, porpoises, sea lions and whales  humpback and orca  during the cruise. You may also spot bear, mountain goats and bald eagles. At the end of the trip we stop at a bird rookery which is home to thousands of Kittiwakes." 5 PM: buses depart Hilton (available for boarding at approximately 4:45 PM). Don't be late -- there is a one-lane tunnel on the journey that adheres to a fixed timetable. If a bus waits for stragglers it won't make it through the tunnel, and will miss the boat. Please be on time for the bus! This is a private cruise -- we have booked the entire ship. The only way to get tickets is via the DSN registration page. All full conference attendees will receive one ticket as part of their registration fee (including students!). You can purchase additional tickets at slightly below cost from us in advance. Very few tickets, if any, will be available at the last minute. Refunds for unused tickets will not be possible (we're paying based on advance head count, whether tickets are used or not.) So, please plan ahead! Rubber-soled shoes if possible so you don't slip on the deck. Avoid spike-heeled shoes. A lightweight hooded raincoat. A light drizzle at some point in the excursion is likely. Umbrellas aren't that useful due to wind. A warmth layer (fleece, sweatshirt, sweater) that fits under the raincoat. A set of thin gloves. We will provide motor coach transportation and strongly recommend against driving yourself. There is a long, one-way tunnel leading to Whittier with a strict timetable. If you miss the tunnel window you usually have to wait a half hour to get another chance to go through it. If you must drive, the 26 Glaciers web site has detailed information on how to do that. Plan to be at the tunnel at the beginning of the window in your direction, not a the last minute! 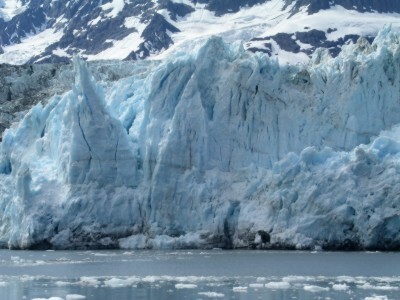 [From the 26 Glaciers Web Site]: "The Klondike Express is the largest, fastest and most luxurious catamaran in all of Alaska. This 137-foot, high-speed catamaran holds 342 passengers on three decks, two of which are enclosed and heated. The Klondike Express is a non-smoking vessel. Comfortable upholstered booths with tables are available for all passengers and the large picture windows provide a view from every seat. A saloon, snack bar, gift shop and seven restrooms are a few of the other amenities available to our glacier cruise passengers. Nichols Bros. Boat Builders of Freeland Washington constructed the Klondike Express. This unique vessel cruises at 38 knots and has a top speed of 42 knots, which is equal to 50 mph land-speed. Its first-class design provides our passengers luxurious comfort and incredible viewing experiences." Additionally, for our excursion there will be a buffet meal with drink tickets, and additional drinks available at the cash bar. The ship has limited capacity. If the trip is oversubscribed we will attempt to make alternate, comparable arrangements for additional attendees and guests.